"My father, Jerry Waxman, lived for over 1 1/2 years at Silva Board and Care. My father had a disease called Multiple System Atrophy, which is related to Parkinson's Disease. I can honestly say that the care my father received at Silva was far superior to anywhere else he could have been. The main caregivers, Joel and Helen, treated my father as if he were part of their family. I spent many days and nights at Silva with my father and felt as if it were my home, too. Provide such a warm and compassionate atmosphere that I think that all family members of residents feel this way. The other Silva Board and Care caregivers at Silva are also quality individuals who do a fantastic job. I cannot recommend any care facility higher. I could go on and on with the positives. If you would like any more information on my experience with Silva Board and Care, please do not hesitate to contact me". "Loving care and ongoing compassion characterize the high quality care offered to residents of Silva Board and Care. My sister-in-law has lived here for more than seven years and has received the finest care possible. The high quality of the meals, the cleanliness of the home, and the friendly interaction among residents and staff combine to create a warm, safe, and comforting environment. I can't imagine finding a better board and care home everywhere". "Silva Board and Care is the next best thing to one's own home. 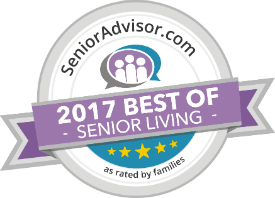 When it was time to find an appropriate living situation for my elderly Aunt, who suffered from both dementia and limited mobility, I was so thankful to know that a home like Silva Board and Care was available. The Managers of this wonderful residential facility treat all their residents like they are part of their own family. My Aunt has thrived under their constant car, and we recently celebrated her 98th birthday".
" My elderly beloved father was a resident of Silva Board and Care for over a year and a half and during that time, he improved markedly due to the fine care he received.. While there, his nutrition was excellent because of well balanced and appetizing meals and his daily grooming was seen to attentively. Most of all, he was happy there ......Joel and Helen Trinidad could not have been nicer or friendlier to their residents showing genuine concern for their well being. During my father''s stay I visited daily and always found things well managed and my father feeling happy and content. " I highly recommend Silva Board and Care without any reservations.